Jerome has been with Alexander Chambers since 2008. Jerome’s practice has been wide and varied over the years covering both criminal and civil matters at all tribunal levels. Jerome enjoys an eventful commercial and chancery practice and is licensed to practice under the Direct Access Scheme to conduct litigation. He therefore acts upon instructions from solicitors and directly from businesses and members of the public without the need for any solicitor involvement and can take cases from inception to conclusion. Jerome’s practice is predominantly civil and centres around all forms of contractual disputes with a particular emphasis on building/property claims, rights of way claims, neighbour disputes and includes some vintage/high value car claims particularly where elements of fraud or bad faith are involved. Jerome also undertakes regulatory work. Jerome is able to accept Public Access Work (direct from the public) or instructions from solicitors. 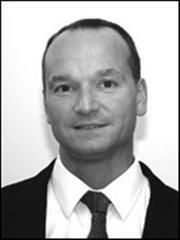 Jerome Wilcox is accepts cases from clients across England and Wales. Contact us in confidence without obligation on 0845 652 0451 if you would like to speak to Jerome Wilcox about your case. Trading standards law specialist, legal advice, legal representation. Health and safety law barrister, agriculural law, solicitor. Commercial law specialist, general regulatory law, professional negligence, professional regulation. Barrister lawyer for representation in law advice legal. Can be instructed by a solicitor or directly by the public.